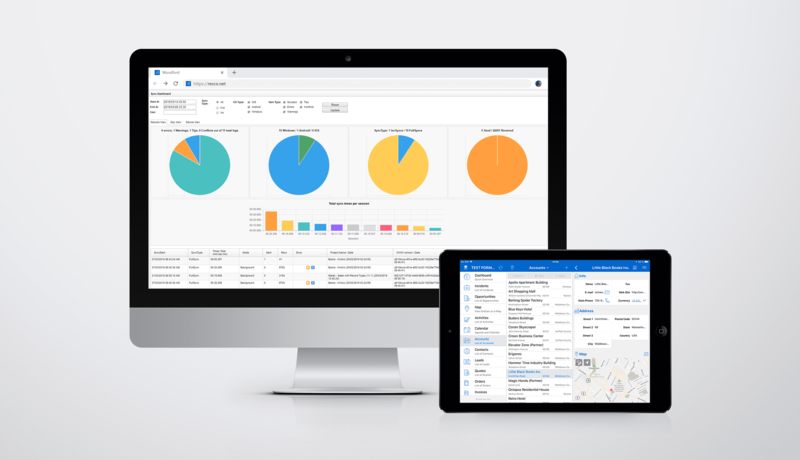 Bratislava, Slovakia – March 29, 2019 – Resco, the leading provider of mobile solutions for Microsoft Dynamics 365 and Salesforce, has just published the 2019 Spring Update of its Mobile Business Apps Platform. This latest release empowers partners to create an even more tailored enterprise mobility offering. With the latest additions they can further realize their requirements and create fully customized mobile solutions for unique industry verticals, product lines, and even specific business processes. The Spring Update delivers key enhancements to both Woodford, which is the corner-stone of Resco’s Mobile Business Apps Platform, and the Resco mobile app. Customization possibilities, application lifecycle management, mobile user experience areas have been significantly expanded with brand new capabilities. To encourage collaboration across teams, Woodford now integrates with software version control service GitHub. Storing mobile projects on GitHub enables users to easily download and work on either the latest or earlier versions. Projects can be shared to a single GitHub account from multiple Woodford instances. So, for example, a project can be added from a testing instance to GitHub and then downloaded and utilized immediately at a production instance. Woodford users can now also effectively deal with conflicts that might occur when a record has been modified both on the server and in the app. These synchronization conflicts are now visible in Sync Dashboard and can be resolved remotely – so that the Woodford user’s resolution of the conflict will be applied. Additionally, the Sync Dashboard offers new filters, charts and data export option – providing clear-cut insights into how the mobile application is used. Better use of available screen space. Automatic resizing of large images. Improved navigation and single-sign-on login when using Microsoft Exchange within the app. Those are just some of the features users of the Resco mobile app will notice at first sight. But probably the most significant changes improving the user experience, come with synchronization upgrades – making the app faster and more efficient when handling large volumes of data. “This release is another major step on our journey to provide a complete mobile business apps platform – a robust development environment based on the Woodford that is the base of all Resco mobile projects. It will enable partners and customers to create enterprise mobile solutions tailored precisely to their needs. And handle the entire lifecycle of their mobile solution – from a mobile project, team collaboration, app release and app monitoring,” noted Miro Pomsar, CTO at Resco. The Spring Update 2019 of Resco’s Mobile Business Apps Platform is available to all partners and customers from March 28, 2019. Resco founded in 1999, is one of the global leaders in developing cross-platform mobile software solutions. The team of Resco professionals utilizes their knowledge to design products for corporate customers, developers, integrators, and end users. Today, Resco is utilized by 2 200+ corporate customers with more than 150 000 licensed users around the world. The corner-stone of Resco’s Mobile Business Apps Platform is the Woodford configuration and management tool, which together with the Resco mobile client form the base of all Resco mobile projects.